Its that day of the week again, MONDAY! Hope y'all had a nice monday today. Anyways, a lot of sharing has been happening on Facebook on TEDxKL and I'm sure most of you are wondering, whats TEDxKL? Now, before we go any further, let me explain what TEDxKL is. The event is called TEDxKL, where x = independently organized TED event. At our TEDxKL event, TEDTalks video and live speakers will combine to spark deep discussion and connection in a small group. The TED Conference provides general guidance of the TEDx program, but individual TEDx events, including ours, are self-organized. But personally speaking, usually TEDTalks overseas are internationally very expensive as they have really big people coming on stage to talk. So, by organising a self organised TED event as TEDxKL, they are actually giving you the opportunity to be able to experience a TEDtalk experience, by paying a reduced amount compared to TEDTalks. So, now that we got that cleared, let me just tell you that the up coming talk is going to be on the 9th of August, 2014 this year. And tickets are at RM150 per person, it would be an amazing investment to be able to meet people who grew into successful people. So why not give it a go? 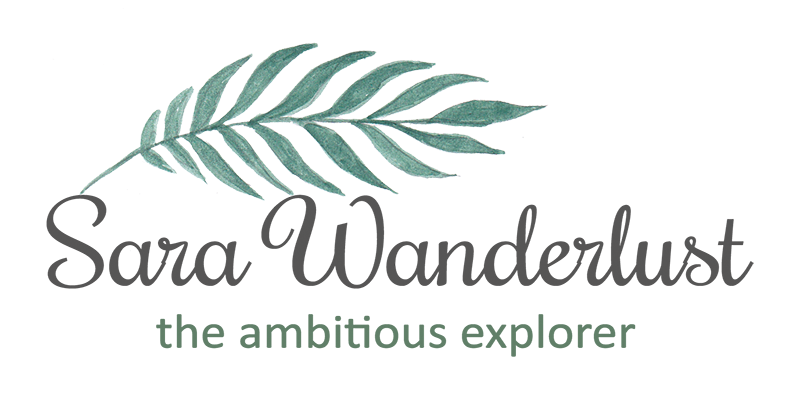 But really, if you think the tickets are too pricey, why not enter a contest and keep your fingers crossed for a pair of tickets fully paid for? Want to know more, well here are the steps of how you can win yourself a pair of tickets PLUS a month supply of FREE chatime drinks? Doesn't seem like a bad deal right? 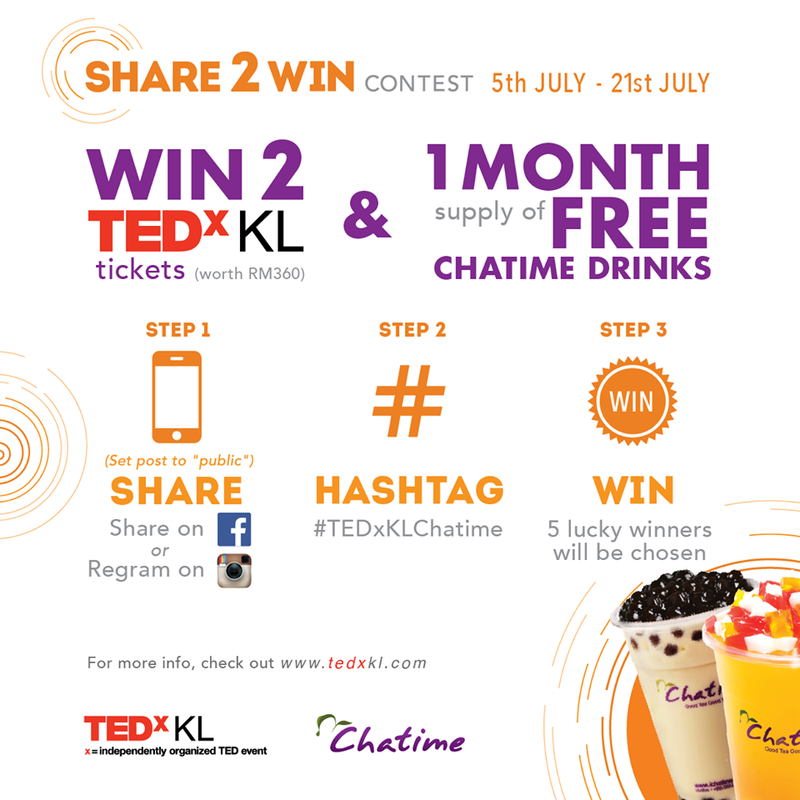 Apparently TEDxKL is partnering with Chatime Malaysia to bring you "SHARE 2 WIN". How generous are they to be giving out a pair of tickets, and all you have to do is SHARE it on Facebook or Instagram with the hashtag #TEDxKLChatime and you'll immediately stand a chance to win some prizes. Im guessing that you just need to be noticed to have higher chances of winning. So what are you waiting for? Keep calm and SHARE 2 WIN!